I n the latter part of 1990’es it was evident, that more and more business in the IT industry would be WEB-based. Even the old vendors like HP, IBM and Fujitsu realized that traditional PC resellers were a dying breed. Dell and Apple had already moved a substantial part of their business on-line. PC resellers who didn’t get it, went belly up in huge numbers. The support services provided through call-centers managed by e.g. Dell and Apple were not a good fit for the small-medium business. A lot of customers were left on their own. 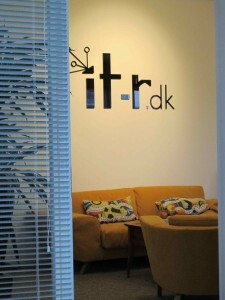 IT-R was co-founded by Falkenhøj and the Managing Director Kim P. Nielsen in 2001 to fill the gap. The strategy of the company was never to rely on margins earned on commodities. Further cost of operations were designed to be highly competitive. The quality was secured by high standards for customer satisfaction combined with a system for knowledge sharing. Falkenhøj provided the capital and helped develop the first business plan. After a couple of years the company became profitable. Falkenhøj has a significant minority stake in the company and has been chairing the board since the beginning. Falkenhøj supports the business through a yearly strategy planning and business planning process, through monthly business reviews as well as through ordinary board participation. IT-R today serves more than 200 companies and more than 3.000 end-users, runs it’s own hosting facility and employs 10+ consultants. IT-R made an all time high record on revenue and profits in 2017, based on the basic strategy of understanding the changing customer needs and providing matching, competitive and quality services.